Now Are you ready to know about the benefits of your favorites fruits apple, So read it and enjoy its benefits by just buying and eating this wonderful fruit "APPLE"
A medium apple provides five grams of fibre more than most cereals! 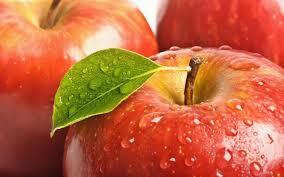 Apples are one of the top fruits with plenty of pectin, a soluble fibre that reduces cholesterol. Pectin prevents cholesterol from building up in the lining of blood vessel walls, thus reducing the risk of atherosclerosis and heart disease. There is overwhelming evidence that one-third of all cancer cases and half the incidences of cardiovascular disease and hypertension can be attributed to diet. Because apples are high in potassium, a mineral that helps control blood pressure, they can help reduce the risk of stroke. Apples contain quercetin, a powerful antioxidant that protects brain cells from degeneration in rats-and might do the same in humans. Dr. Ramani Soundararajan from Dalhousie Medical School and Dr. Vasantha Rupasinghe at the Nova Scotia Agricultural College found that Red Delicious flavonoids had strong neuroprotective effects. When the natural fiber in apples ferments in the colon, it produces chemicals that help fight the formation of cancer cells, according to new research from Germany. A study completed at Aberdeen University found there is strong evidence that a healthy diet rich in anti-oxidants and vitamins is good for asthma. Researchers found that when children sipped on apple juice their symptoms were relieved. Dr Peter Burney, who led the project, believes that the 'phytochemicals' in apples, such as flavanoids and phenolic acids, help calm inflammation in the airways. Researchers believe that a flavanoid called phloridzin, found only in apples may, protect post-menopausal women from osteoporosis and may also increase bone density. Boron, another ingredient in apples, also strengthens bones. Apple id high in the form of Antioxididants. 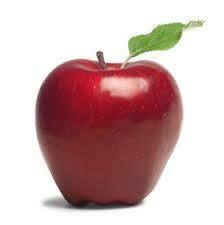 As this quality of the apple increase the Oxygen of the body. By the Effect of the Oxygen glow of the skin get boosted. This property improves the damage cell and tissues. Accept the fact or not, Braeburn apple fruit really contains UVB defending particles! This wouldn’t replace wearing an SPF lotion on your skin (always wear SPF) but can only give extra protection from suns rays. And if this wasn’t enough to drive you to the apple orchard on a sunny day, apple fruit can treat sunburns and prevent them from peeling. Just blend a teaspoon of glycerin (you can buy it at drugstores or large-scale chain shopping centers) with the pulp from a grated apple fruit, slosh it up on your skin, relax for 15 minutes, then wash it off with cold water. Thanks to the many benefits associated with apple, your hair will stay longer and healthier because of a compound called procyanidin B-2 (scientific, I know) found in these delicious fruits. Long and glossy locks are everyone’s desire and apple fruit makes your desire come true – you could even go on one foot and call them your fairy godmothers. According to a study by the University of Massachusetts Lowell, the consumption of apples increases the production and amount of the neurotransmitter called acetylcholine in the brain. Acetylcholine is a hormone with various tasks, one of them being the modulation of neuro-plasticity, which is the brain’s ability to change and build new structures. University of California-Davis researchers found that apples and apple juice may help slow the oxidation process that is involved in the build up of plaque that leads to heart disease. Participants added only two apples or 12 ounces of apple juice to their diet daily and positive effects were evident after only six weeks. Thanks Admin Amazing Post Keep UpDate.Thank You. Great Article by the way . . . you can improve your man's "Desire" by getting some tadlafil tablets you can easily buy tadlafil online . . .
An informative article on the alarming trend of resellers selling product that is not guaranteed or authentic in some cases. Jan Marini, Revitalash, Intraceuticals and many others are strictly sold by Licensed Professional Establishments.